When getting ready to print a piece of marketing collateral, there are many ways in which you can make it more environmentally friendly. None is more important than your paper selection. What percentage of post-consumer recycled content is contained in the paper? Is the paper made with 100% certified wind power? Is the paper process and elemental chlorine free? While all of these factors combine to determine the eco-friendliness of a paper, the single most important factor is the percentage of post-consumer content. This indicates how much of the paper pulp comes from material that has been used by consumers, then reclaimed and reused, thereby eliminating the need for that portion of the paper to be made from virgin fiber. 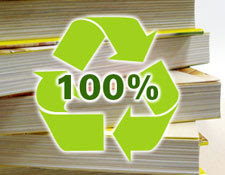 For comparison’s sake, a typical sheet of paper contains approximately 10% recycled content, which may or not be PCW. Please note that I didn’t mention any papers made by New Leaf Paper, despite their high degree of PCW. This is due to their unreliable availability, especially on the East Coast. In this day and age, where environmental awareness has been significantly elevated, it is key to make decisions with sustainability in mind. There is no choice that has more of an environmental impact on your printing than paper selection. My firm does a fair amount of work for SkyFuel, a solar energy company headquartered in New Mexico. 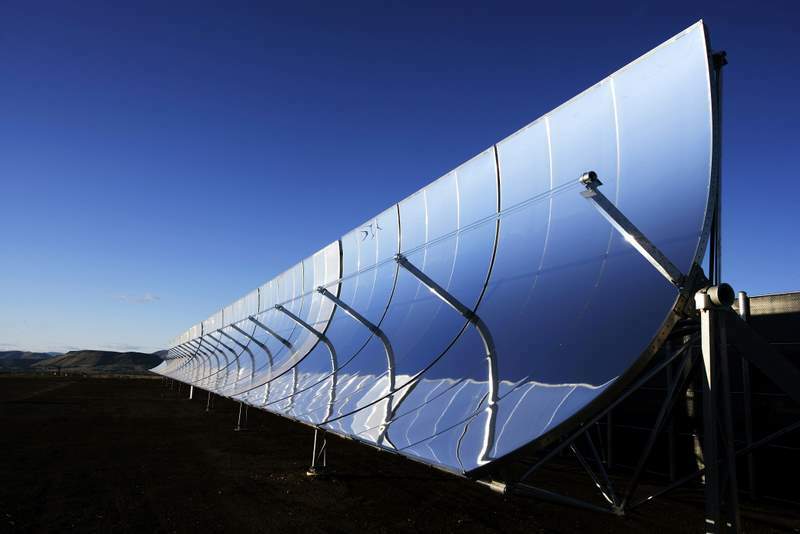 SkyFuel is a cutting-edge clean technology provider that has been recognized for their pioneering work in the renewable energy space. SkyFuel needs to disseminate their ideas in printed form at trade shows, investor presentations and other industry events. When they publish such literature, we have partnered with them to help make these pieces as green as possible, while always watching the bottom line. For their uncoated items (business cards, letterhead, etc), we use a specific paper from the Mohawk Options line that is 100% post-consumer recycled. SkyFuel is an example of a best-practice leader in their field that leverages printed collateral to support their organizational mission to be good stewards of the environment. Experience has shown that when a company couples a deep commitment to the environment with marketing pieces that underscore this mission, their message resonates most effectively with key constituents. SkyFuel also is very transparent about the environmental benefits of their various printed pieces, which makes the green attributes even more tangible for the reader.